The global online investment platform “Bnk To The Future” offers qualifying investors to invest in the field of financial innovation world, which include FinTech companies, funds and other new financial products. This company claims that the look of the finance world we know today will significantly change in the future, and therefore they intend to provide qualifying investors the opportunity to invest in the companies and products that will be the most important part of the future of finance. Bnk To The Future investment platform is founded by Simon Dixon and Bliss Dixon. Simon Dixon is CEO and co-founder of Bnk To The Future and the author of the book “Bank to the future”. He’s also known for being a Fund Manager of Bitcoin Capital and ex-director of the UK Digital Currency Association & UK Crowd Funding Association. So far, there has been invested $153,939,639 on this online investment platform. – 37,995 professional investors took part in investing. 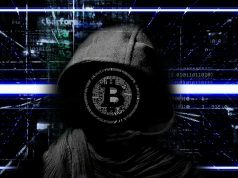 – 20,986.414 Bitcoins were invested. – Around $3,600,999 has already been returned to investors and 690,020 dividends were paid. All the updated live stats can be found at BnkToTheFuture official page. 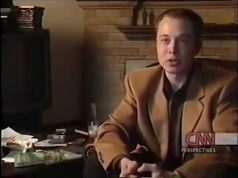 There, you also have a map of the world with names of the investors, the amounts they spent and the amount they received worldwide. On BNK’s blog page you can read various articles which are covering various subjects from the bitcoin industry and market. There, you can read some interesting interviews with some of the most successful bankers, novelties about the bitcoin current status and market changes from each country in the world, and some BNK’s experts’ case studies. The amount that was raised in this project is €3,673,769. The minimum goal of this one was €551,065. The equity was 2% and there were 424 investors involved. Shape Shift “Series A” – Digital asset exchange where any leading blockchain asset can be traded for any other. The amount that was raised in this project is €9,551,800. The minimum goal was set at €9,459,956. The equity was fund and 39 investors were involved. BitPesa “Series A” – A remittance platform that uses Bitcoin payment system to offer the fastest way to send money to East Africa. The amount that was raised in this project is €2,296,106. The minimum goal was set at €2,204,262. Equity was fund and there were 24 investors involved. Bitfinex – A trading platform for Bitcoin, Litecoin and Ether with features such as margin trading, exchange and margin funding. The amount that was raised in this investment project is €50,067,650. The minimum goal was set at €9,184,423. Equity was in a form of convertible note and 97 investors were involved. Mega Upload 2 & Bitache – A privacy centric and file sharing platform that allows users to store their files with Bitcoin microtransactions attached to every transfer through Bitache. The amount that was raised in this investment project is €975,106. The minimum goal was set at €918,442. Equity was 10% and 330 investors were involved. What does Bnk To The Future offer? 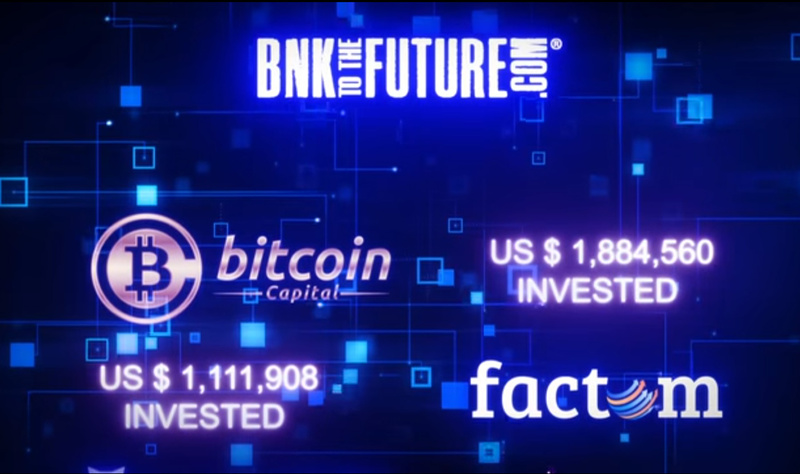 BnkToTheFuture is believed to be one of the largest global online investment communities when it comes to professional investors who are all investing in financial innovation and technology. If you consider their previous deals, you’ll quickly see what this is all about. By using this, you are investing in the same deals as top FinTech Angel investors, avoiding the huge minimum amounts of a traditional capital fund. This company uses the finest bank-grade security procedures such as secure socket layers, two factor authentication and those are registered with their Monetary Authority to run a securities business and transfer funds safely. Users are offered some professional grade protections BNK’s unique pooled structure, so all investment are able to grow in a tax-efficient way. This company intends to be different from other by not only introducing investors to various opportunities, but also handling all their documentation, admin and payment, for both investors and deals. 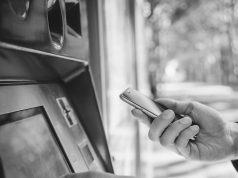 Besides unavoidable third party payment processing fees, users can invest in the top deals without paying any fees until the investment is finally a success at some point. Investors and businesses can also access their data all the time by simply downloading all the documentation in one place. The BnkToTheFuture has the network of active investors and entrepreneurs from 112 countries around the world. Investments can be made in your local currency or in a preferred currency from the top 25, but there are 35 alternative currencies that are accepted, such as Bitcoin and Ether.